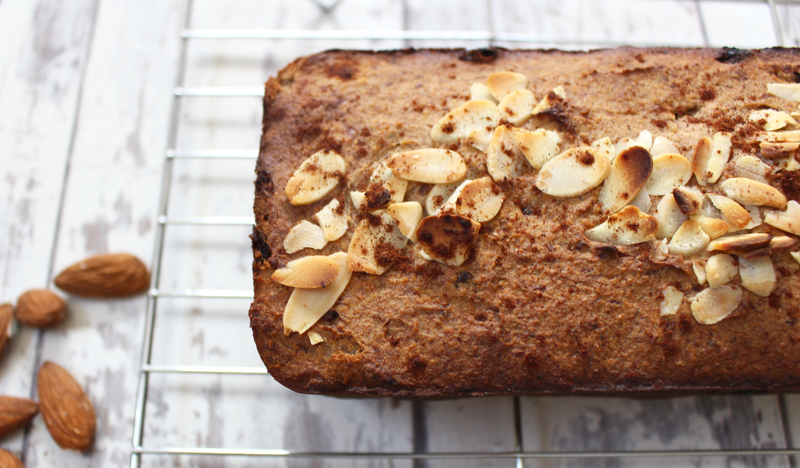 This banana bread recipe is probably my favourite healthy sweet treat that I make and the recipe I'm most proud of. 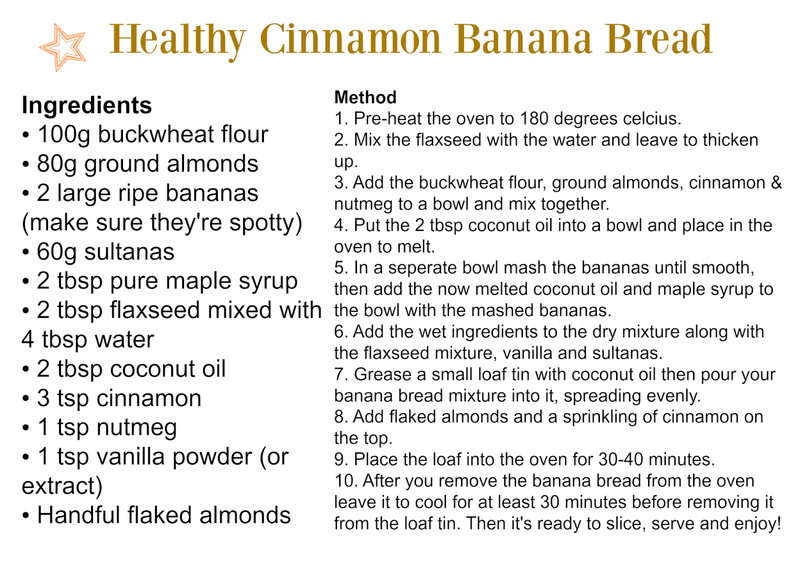 I've tried a few gluten free & vegan banana bread recipes before but they either end up being expensive to make or don't turn out the way I'd hoped, this cinnamon banana bread is a different story....the ingredients are inexpensive, it's easy to make and turns out perfectly every time. The texture of the banana bread is spot on; it's perfectly moist yet nice and firm (so there's no falling apart when you cut it! ), the balance between the sweetness of the banana and the spices of cinnamon & nutmeg is truly mouth-watering and the hint of vanilla brings the deliciousness level up even more. 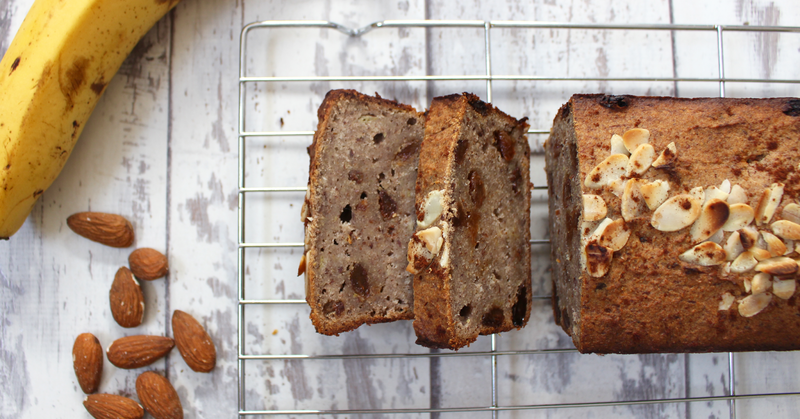 With every bite this banana bread gets tastier and tastier, the juicy sultanas and crunchy flaked almonds give the loaf great texture and it's even more heavenly topped with almond butter. 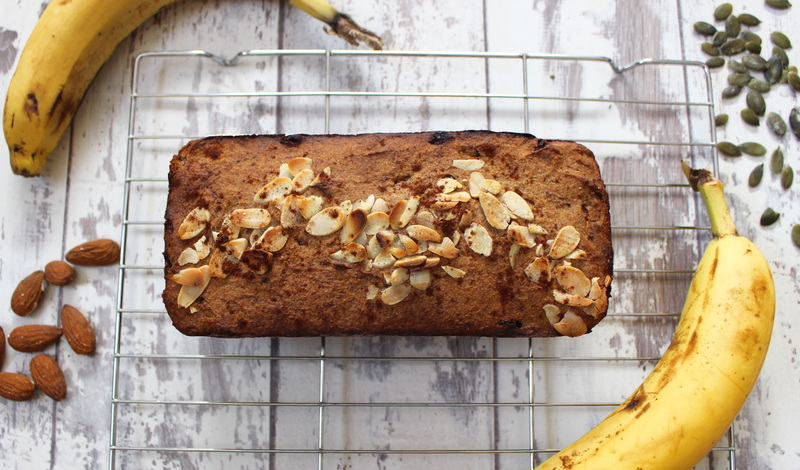 As well as tasting unbelievably heavenly this banana bread only contains plant-based, natural ingredients so yes, it's actually good for you! I used buckwheat flour (a natural, gluten free flour) and ground almonds mixed with flaxseed 'egg's which help hold this loaf together so well. Then there's obviously the ripe bananas (you want to make sure they're super ripe with little black spots on the skin) that sweeten the bread up so much you could get away with not adding a sweetener, although I do like to add a little maple syrup! The other ingredients are coconut oil, cinnamon, nutmeg, vanilla and sultanas....see, told you there was nothing bad hidden in there.